I've been hearing a lot about the book fair Scholastic Press is having at their warehouse in Pasig, so I decided to give it a visit after I finished work early today. The place isn't hard to find. It's along C. Raymundo Ave., and if you'll be coming from Ortigas Ext. Ave. it will be on your left side. 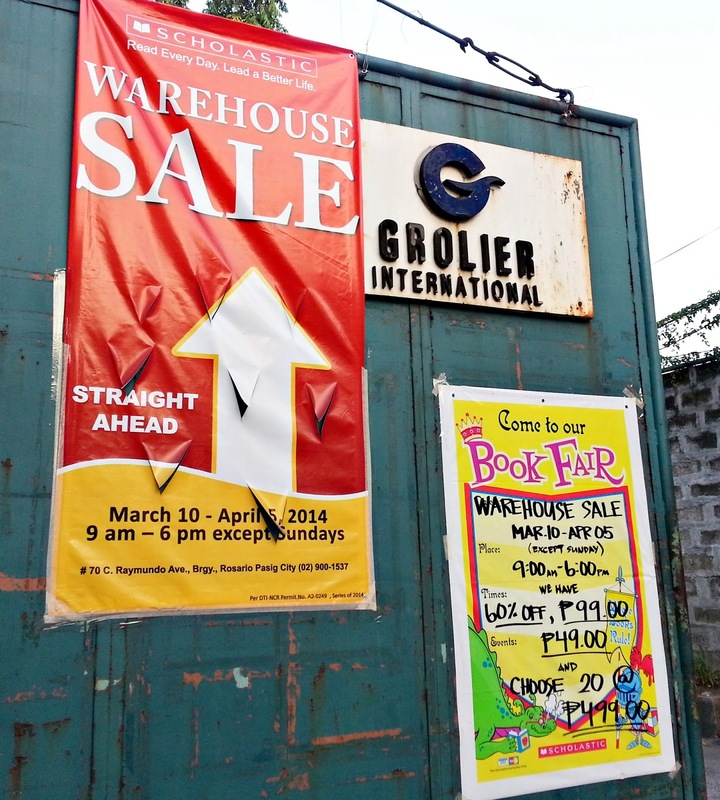 Just watch out for Grolier International/Scholastic Book Fair's tall, rust-stained gate with Scholastic's warehouse sale signs on it. Upon entering the gate, keep heading straight till the end and then turn right. You should see Scholastic's delivery trucks parked and their P49 and P99 books, which are mostly for children, in the tents outside. You'll be asked by the security guard to sign a log sheet before you enter the warehouse itself. 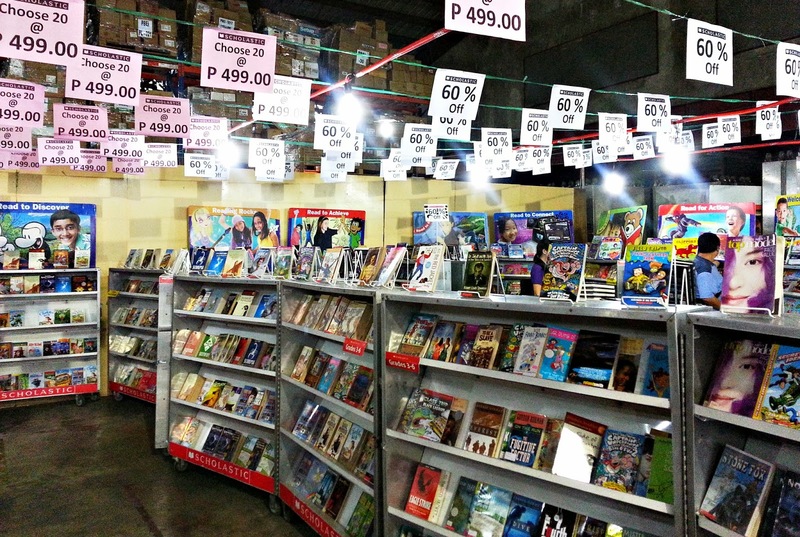 Inside are the real treats, in their 60% Off and Choose 20 at P499 sections. I didn't think I'd find other titles aside from the Harry Potter hardcovers and The Book Thief paperbacks I've been told about, until I remembered Scholastic also published Cornelia Funke's Inkheart trilogy, Suzanne Collins' The Hunger Games trilogy, Jeff Kinney's Diary of a Wimpy Kid, R. L. Stine's Goosebumps and the collab adventure novel series The 39 Clues. Only Inkdeath from the Inkheart trilogy is available, however, and Kinney's, Stine's and Collins' books are nowhere to be found. The 39 Clues didn't seem to be complete, and they lacked the fifth HP book, Harry Potter and the Order of the Phoenix. It wasn't only Scholastic-published books they sold. 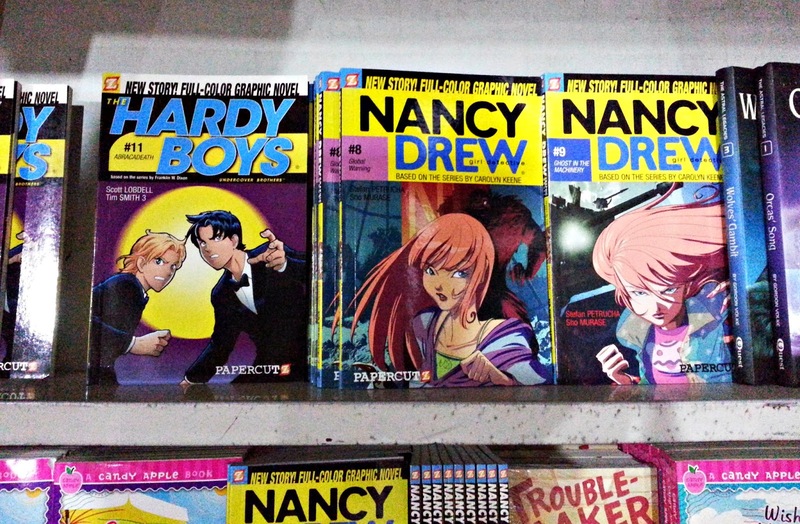 They carry titles from Papercutz's Hardy Boys and Nancy Drew graphic novel series. They also have the first novel in Brandon Mull's Beyonders series, Beyonders: A World Without Heroes. And paperbacks of Stephenie Meyer's Twilight. Closer inspection of this photo made me realize Twilight truly does have an amazing repelling effect on me. I didn't notice School of Fear while I was still back at the warehouse. It's been a while since I last made a book purchase, so it's quite impressive how I was able to restrain myself from picking up Roald Dahl titles along with other interesting children's books in an attempt to complete 20 books for only P499. Or all the available Harry Potter hardbacks so I'll only have to hunt for Order of the Phoenix elsewhere. Fortunately for me I had already succumbed to the Dunkin Donuts craving I've been having all week, so I was only left with a little over P400 in my wallet. 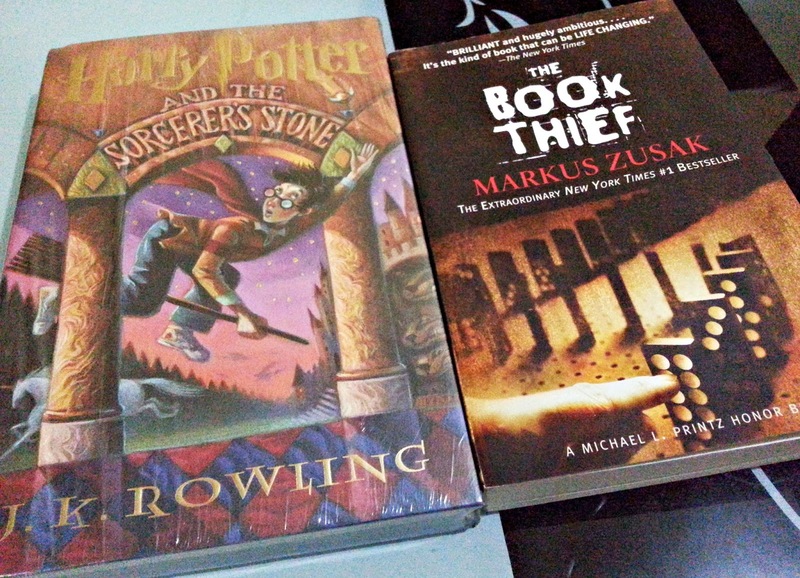 I got the first HP title, Harry Potter and the Sorcerer's Stone, for P270 and Markus Zusak's The Book Thief for just P98, both 60% off their original prices. Two more books in my reading list which never seems to grow shorter! Harry Potter and the Sorcerer's Stone, one of my favorites in the series, and The Book Thief, whose Hollywood movie adaptation just came out this year in the Philippines. 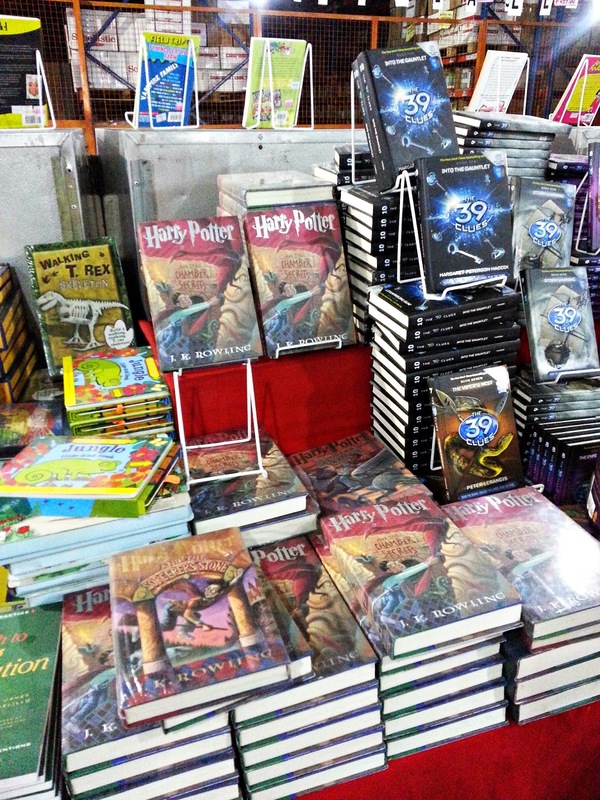 The Scholastic warehouse sale runs only until April 5. They are open from 9:00 AM to 6:00 PM all days of the week except Sunday. Their address is #70 C. Raymundo Ave., Brgy. Rosario, Pasig City and their contact number is (02) 900-3687. 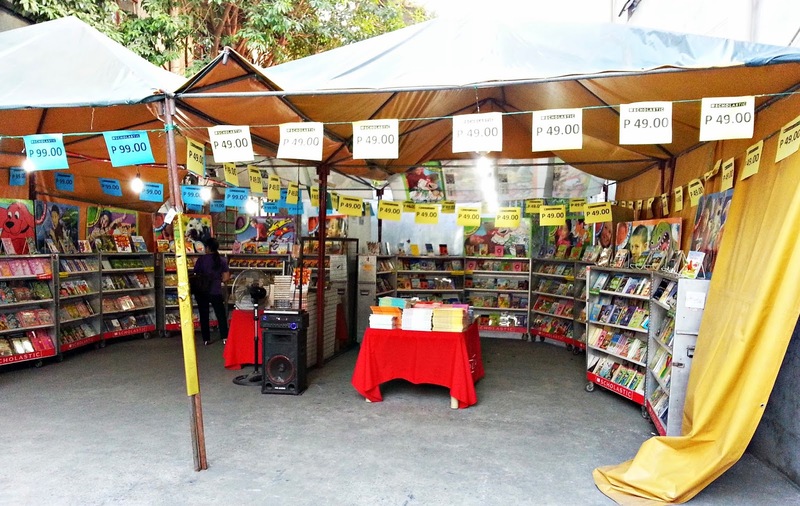 Drop by to get books for your kids or the kid in you, while several good titles still remain. Don't worry about all the dust that your hands will accumulate from having touched so many books there. They know we bibliophiles have that book-touching compulsion so they already have tissue and a large alcohol bottle at the counter for that. You're welcome. Bibliophiles unite! And I didn't think this has been promoted well enough anyway. Hence the same-day blog post. You may take either the Shaw Blvd or Ortigas Ave. routes to get to C. Raymundo Ave.
Yung 20 books @ P499 ba e kahit anong books? Except for hardbound ones ofcourse. Yung mga paperback po. 20 books po talaga for P499? Only those books in the designated 20 @ P499 section, and they're mostly paperback. I don't think I saw any hardcovers in that area. When will the next warehouse sale be?? I'm so excited!! I'm sorry but this was way back in March, extended until the first week of April, if I recall correctly. I'm not affiliated with Scholastic but should I pass by their warehouse again and find out they're holding another sale, I'll be sure to blog about it. Meron po ba yan hanggnag ngayon? Dec. 06 2014? 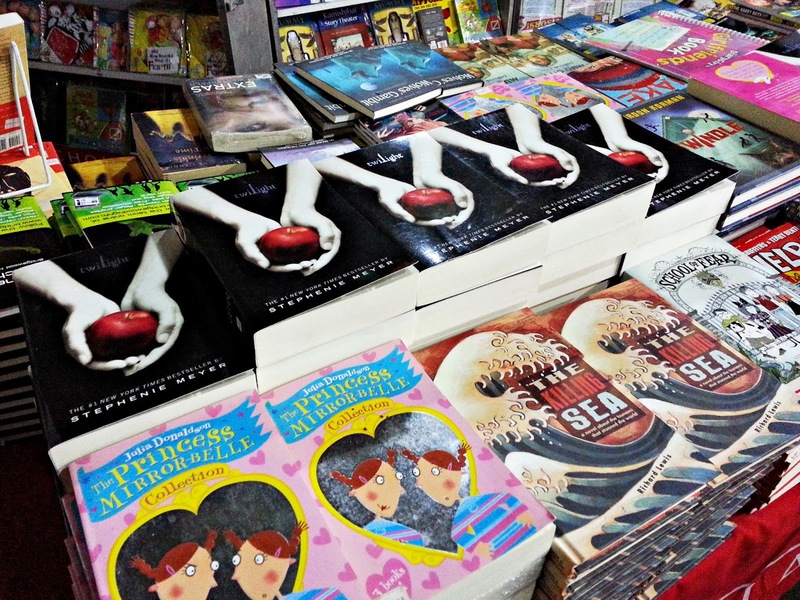 Marami po bang YA Books na available? No, sorry, I don't think so. And I don't pass by that area anymore. I do know it's seasonal though.